A biography of the vibrant, free-spirited woman behind the beloved children’s classics Goodnight Moon and The Runaway Bunny. If the measure of a good life story is the longing it leaves in the reader to have known the subject, this one more than succeeds ... what some readers may feel a weakness of the book: that only at the very beginning and very end of In the Great Green Room do we hear Brown’s own voice. Each chapter starts with a bit of her poetry, including some unpublished verses, which is something, but in following the events of her life, we are vouchsafed only Ms. Gary’s representation of her thoughts and feelings. Through a publicist, the author explains that she wanted to keep the reader 'in the moment with Margaret' and that the abundance of her sources made paraphrasing the best course. Still, we may feel a bit wistful, as we finish reading this fascinating account, that we weren’t able to get somehow even closer to the undoubtedly bold and brilliant Margaret Wise Brown. Goodnight Moon is less a story than an incantation. 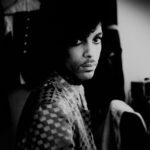 It summons a cocoon around reader and listener, a sensation of being pulled out of the hurly-burly of the world into a pocket of charmed tranquility. 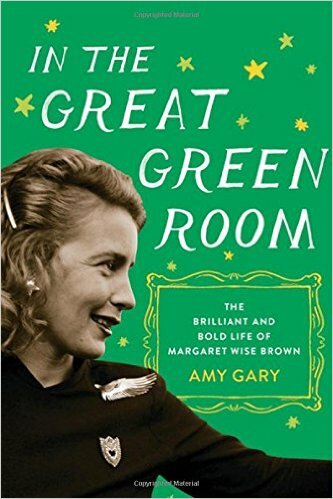 Amy Gary’s new biography, In the Great Green Room, replicates this spell for adult readers ... Gary has written the book as an intimate, immersive narrative, closely following the chronological unfolding of Brown’s life and focusing almost entirely on how Brown experienced the events described ... you won’t find much background [information] in In the Great Green Room ... Her relationships, for all their persistent frustrations, gave her much joy, and Gary successfully conveys how the delight that Brown took in her merry friends, her summers in Maine, and her work suffused most of her days ... The fairy-tale tinge of In the Great Green Room can occasionally be perplexing...yet this faint aura of unreality made the book into a blessed retreat during a rough season, a bit like a P.G. Wodehouse or Barbara Pym novel. Brown may have led a vibrant, colorful life. But Gary only manages to render her in shades of taupe. Her sentences are strictly utilitarian. Her early pages are teeming with dead-end digressions ... Far more baffling — criminal, actually — is that Brown’s voice is absent, entirely, from In the Great Green Room until the final page. Here is a woman who left behind diaries, letters and papers of all kinds. Why are we not hearing from this thrilling creature, celebrated for her ear, renowned for her sound? ... Instead, we get Gary’s. She is a strangely passive-aggressive biographer — too timid to analyze Brown’s life in any large and meaningful way, yet presumptuous enough to speak for her ... This seems a terrible missed opportunity. What did you think of In the Great Green Room?